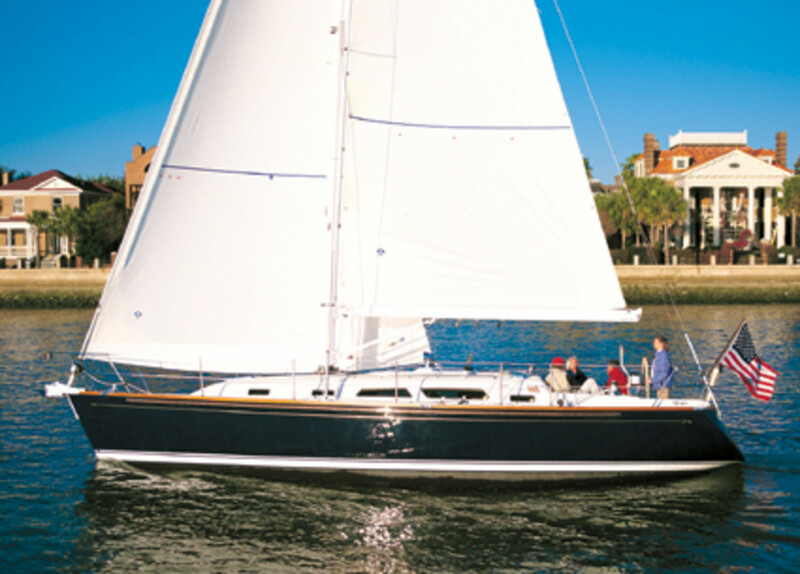 Since its founding by Roger Hewson more than 20 years ago, Sabre Yachts has excelled at building boats under 40 feet. The old Sabre 28 is certainly one of the best pocket cruisers ever marketed, and Hewson himself often asserted that the company&apos;s core boats were its 36-footers. I personally have always favored the Sabre 38, both the Mark I and Mark II models, built through the &apos;80s and &apos;90s, and thus welcomed a chance to check out their successor, the new Sabre 386. I stepped aboard in Essex, Connecticut, was greeted by Skipper Russ, a lively character, and together we quickly dropped lines and headed down the Connecticut River toward Long Island Sound. As we motored south, I toured the interior and, as on the earlier 38s, was struck by the very efficient use of space in a boat that favors the performance side of the accommodation-versus-performance equation. The one head, aft to starboard, is, to my mind, perfectly sized—just big enough to use comfortably, but not so big you flop around in it in a seaway—and has a full-size shower stall. The nav desk is big enough to hold a ChartKit, and there&apos;s plenty of room to install a modern electronic nav suite. Previous 38s had dedicated nav stations, but the new 386 boasts a clever convertible arrangement: the nav-station seat folds back out of the way to create a full-length settee berth. Other new features include a convenient swim step in the transom, a nice transverse double berth in the aft stateroom, and a walk-around double in the forward stateroom. I was also struck by how Sabre continues to improve the finish quality on its boats. The exterior stainless steel on the 386 is absolutely flawless; the interior joinery, all in cherry, likewise seems only to improve with each new generation. The wind on the sound, unfortunately, came in fits and starts. The biggest breeze we saw was 8 knots, and from it we managed to extract 6 knots of boatspeed close-hauled. In 6 knots of breeze we managed 4 knots of speed. Pretty darned good, as far as I&apos;m concerned. Under power, at 3,000 rpm, the boat did slightly better than 7 knots; at 2,000 rpm we averaged about 5.3 knots. Other things that impressed me include the deep keel sump (about 2 feet), the centerline galley sinks, the accessible engine space, the superior construction quality, and the excellent handholds throughout the interior. The only thing that bothered me was the lack of any place in the galley to store larger pots and pans. These will have to go elsewhere—perhaps in the forward stateroom, where there is scads of storage space.